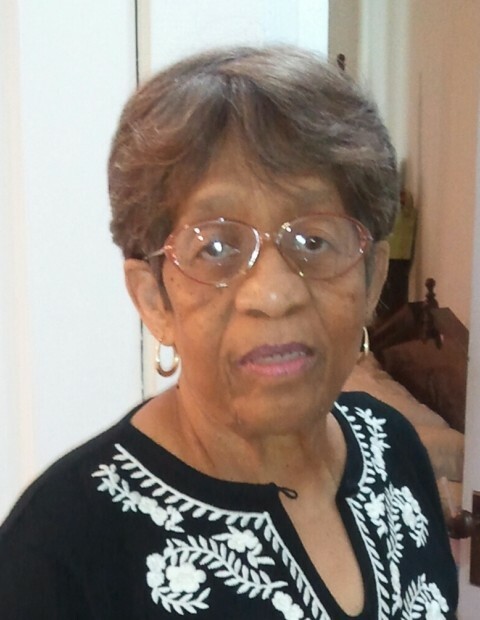 Obituary for Jacqueline Estelle (Lawing) Davis | Bruce & Stiff Funeral Home, Ltd.
Mrs. Jacqueline Estelle Lawing Poteat Davis was born April 24, 1935. She was the oldest daughter of the late Rev. and Mrs. R.Q. Lawing, Sr. Jacqueline was a 1953 graduate of Carver High School in Appomattox, VA. She attended Virginia State College in Petersburg, VA and Bowie State College, Baltimore, MD. Jacqueline worked for the city of Baltimore and the public school system there. Upon returning home she worked as a librarian for Appomattox City. She professed Christ at an early age and was a lifetime member of the Galilee Baptist Church and served on several committees. Jackie also served as president of the local NAACP from 2003-2005, chairperson to the R.Q Lawing Scholarship Committee and was a member of The Appomattox County Assembly, Inc. Preceding her in death were two sisters, Antoinette Fleshman and Juanita Shrock. Mrs. Davis is survived by three children and one who also preceded her in death; Calvin Deleon Poteat, April P. Gray, and Natalie P. Lee (Ervin) Quinton. She also leaves to cherish her memory three brothers; Leon Lawing, Sr., Raymond Lawing, Jr., (Fornecer) and Timotheus Lawing; eight grandchildren and three great-grandchildren. She was a prominent member of our community and leaves many other family members and friends to cherish her memory. Viewing will be held on Thursday, January 10, 2019, 11 a.m. until 6 p.m. at the Bruce and Stiff Funeral Home, Appomattox, VA. A funeral service will be held on Friday, January 11, 2019, 11 a.m. at the Galilee Baptist Church, Appomattox, VA. Her remains will be open to the public one hour prior to the church service. Interment will take place in the church cemetery.